Thank you for considering East Silent Resort for your next vacation. Our family was drawn to this ideal location after spending years of summer vacations at resorts in the Otter Tail County area. We enjoy sharing the comfortable accommodations, quiet surroundings and numerous activities at East Silent Resort with our many guests. We look forward to making your time with us relaxing and enjoyable. Brian and Margaret are originally from Northeast Iowa. 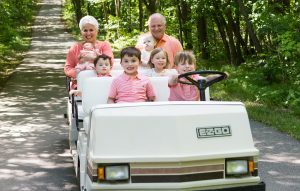 They are the parents of three adult children (Nick, Mary and Andy) and together have operated a family business in Iowa for over 30 years. During the winter season, you’ll still find Brian and Margaret in Iowa spending time with their family and friends. 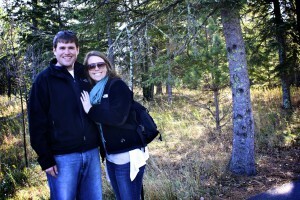 Nick and Bridget met while attending St. John’s University/College of St. Benedict. 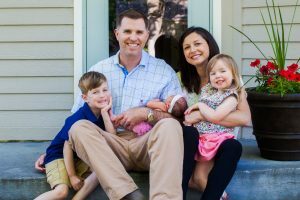 They live in Fergus Falls, MN with their children, Louis, Maggie and Claire. Nick is the Director of Tourism and Economic Development for Otter Tail County. Bridget is the Regional Director for Kindred Family Focus’ (KFF) in Fergus Falls. Andy and Kristin also met while attending St. John’s University/College of St. Benedict. When not at the resort, they live in Brookings with their daughter Caroline. Kristin works in Organizational Development for Sanford Hospital in Sioux Falls, SD and Andy is a professor of aviation at South Dakota State University.